Since 2001, Unwired Insight has provided guidance on a wide variety of topics related to wireless technologies and services to over 250 organisations. Based on extensive industry experience and a well proven approach, you can rely on us to deliver quality results. regulators, e.g. ComReg and Ofcom. Further details can be found on our Customers page. Working with the board of Virgin to create a business model for a 3G new-entrant network operator and supporting the development the SpectrumCo consortium to bid for a UK 3G licence. Working with major UK brands, including BSkyB, to promote the capabilities of mobile networks and handsets and to assist them with entering the mobile industry with innovative services and content. Undertaking due diligence analysis for the BT Group, prior to international investments. Proposing to Ofcom a Mobile Virtual Network Operator (MVNO) model that would encourage major brands such as retailers, broadcasters, online service providers, to become more active in the mobile industry. Driving major changes to the Cellnet (now Telefonica O2) investment plan to take advantage of the mass market uptake of mobile services. Promoting the use of prepaid tariffs for mobile services when these were still a rarity and mobile penetration was less than 20%. Contributing to research and standardisation of major mobile technologies including GSM, DECT and UMTS. Developing, prototyping and patenting a new radio communication system for the UK emergency services. Developing patents for new network concepts in UMTS. Unwired Insight is led by Dr Alastair Brydon, who has been actively involved in the mobile industry since the 1980s. With experience in the research, development, standardisation and deployment of a variety of mobile communication systems, he is able to provide advice on many aspects. He is known for his pragmatic approach and his ability to explain complex technical and commercial issues clearly and concisely. Prior to founding Unwired Insight, Alastair was responsible for driving the take-up of Nokia’s products and services across Europe, Middle East and Africa. Among other things, this involved working with Nokia’s customers to communicate the capabilities of new technologies and to drive the market for new mobile services. 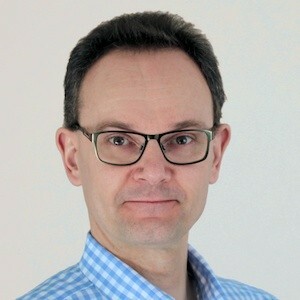 Previously, Alastair worked in a number of roles for the BT Group, including Cellnet (now Telefonica O2), focused on the development of wireless technologies, networks and services. He contributed to international research and standardisation related to GSM, DECT and UMTS and he developed a number of patents related to wireless communication. Alastair began his career as a lecturer at the University of Manchester Institute of Science and Technology (UMIST), where he presented lecture courses on digital communication and electromagnetic theory. Alastair holds BSc and PhD degrees from the University of Manchester Institute of Science and Technology (UMIST). He is a Chartered Engineer (CEng), Fellow of the Institution of Engineering and Technology (FIET) and Senior Member of the Institute of Electrical and Electronics Engineers (SMIEEE). For more information, please take a look at Alastair Brydon’s CV, or visit his LinkedIn Profile. You can contact us by email at contact@unwiredinsight.com or by telephone on +44 (0) 1480 819391.